Want To Learn MMA In Miami? Try Us Out With Our 30 Day Free Trial! Plus We Have A 60 Money Back Guarantee! Put In Your Name And Email To Get INSTANT Access To The Video "5 Ways To Choke A Man Unconscious!" Call 305-225-4610 Right Now For More Info! FACT: We are the oldest MMA gym in south Florida and home of the original 30 Day FREE Trial. 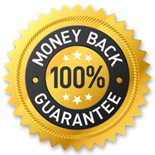 Now we have done something even crazier than a 30 Day FREE Trial… we are offering a 60 Day Money Back Guarantee! If you come to all your classes and after two months feel that our MMA gym isn’t for you, we will give you your money back. Why don’t other MMA Miami gyms offer a 30 Day Free Trial or a 60 Day Money Back Guarantee? It’s simple… because they are not confident in their service. You have nothing to lose, come check us out! Hello, I’m David Avellan, please allow me a few minutes of your time so that I can share an important message which changed my life and the lives of thousands. I have trained thousands of people in south Florida – and all of them started their journey by finding my school online… many reading these exact words. I started training in the martial arts in 1995, at age fourteen. Prior to training in the martial arts, I was not an athletic kid… I was actually the total opposite… I was a shy, fat, introverted boy. At fourteen years old, I was near 200 pounds and looked like the Pillsbury Doughboy – which is significant at that age! Due to the nature of my father’s work, we also moved around a lot, which meant that I was always the “new kid” in school – which only added to my shyness. With my shyness, low self esteem, and being physically overweight and unathletic – I seemed like the last person that would grow up to become a fighter and a MMA gym owner… and at that time, I possessed NONE of the traits required to be a black belt… well, I’m being a bit hard on myself, I did have the courage to step forward and start training – but besides that, I started out worse than 99% of the white belts that I see join my school today. I was a slow learner, had zero cardio, no physical strength or reflexes, no natural talent, and was terrified of getting hit… but what got me into joining something like martial arts in the first place? What Inspired Me To Start Training In The Martial Arts Was Witnessing A Vicious Beating. School had ended for the day and I was walking to the bus when I noticed a huge crowd right outside the front entrance of the school… it was a fight! Like all kids, I was super eager to watch the fight, so I ran over to see the action… and it was sight that changed my life forever. There were about eight guys between sixteen to eighteen years old, big by high school standards, probably around 180 to 220 pounds, beating the hell out of one regular sized fourteen or fifteen year old. At this particular school, they only had one security guard, which was an obese forty something year old guy, who was just standing on the side, waiting for the guys to get tired of punching the kid. I got there late but I’m assuming that the security guard had asked the guys to stop beating the kid but was being ignored… I’m going to give him the benefit of the doubt that he TRIED to stop them… but when I was there, he was doing nothing… and the crowd was doing NOTHING (myself included), and we sat there and watched this kid get soccer kicked over and over on the ground, in the head, as he barely maintained consciousness. The teens beating him laughed loudly and made a big scene about the dominance they had over the boy on the ground… it was humiliating… but it was also physically disgusting… there was blood all over the place. This was the first time I had seen that much blood in person… his face and shirt was covered… and it was also the first time I had seen a person groggy from being near unconscious… it is a powerful and revolting thing to see.The beating seemed to never end and eventually someone stepped in to help… perhaps a friend of the wounded guy… but he was tiny, had to be a 14 year old freshman, and he went charging in there… only to receive an equally bad beating. Eventually the “victors” got tired of punching and kicking their victims, took turns spitting on them, and walked away high-fiving each other into a pick-up truck, and casually left. Only upon them leaving did the security guard rush in, pick up the kids, one arm each over his shoulder, and walk them into the school. Seeing the two of them get beaten like that instantly made me realize that could have been my brother and I… I remember clearly thinking that maybe no amount of martial arts could have spared me that beating… but my goal would be to at least make sure that ONE of my attackers wouldn’t be laughing… it was the laughing that haunted me the most about the whole situation. I never wanted to see people laughing and spitting on my brother as he lay on the floor nearly unconscious, covered in his own blood. That visual is what gave a shy, non-athletic, fat kid like me to take a step into a martial arts dojo. What Did The Martial Arts Do For Me? It gave the work ethic to go from being a shy fat boy to becoming a confident, disciplined, and ripped athlete! As a result of the work ethic I developed in martial arts, I was able to use that same work ethic to my school work… and earned myself a full scholarship to University – where I would graduate #1 in my class in Electrical Engineering. However, after graduating, I left a high paying government job working at the Turkey Point Nuclear Power Plant to pursue my true love… which is training and teaching martial arts. I Opened Up My Gym, The Freestyle Fighting Academy, In 2001. It is the oldest modern MMA gym in Miami. I have been teaching UFC style training in Miami before the term “MMA” existed… it used to be called “NHB”, which stood for “No Holds Barred”. The UFC was actually illegal in most states and banned from cable back then… but we trained and taught it because we loved it – we weren’t bandwagon martial artists jumping on the newest trend. A lot of the local schools that advertise themselves as “MMA schools” today were schools that back then criticized us for not being a “true” martial arts school (the flawed philosophy back then is that people should only focus on one martial art… such as ONLY kickboxing or ONLY jiu-jitsu). Normally I would be happy to congratulate all the other local schools for realizing that mixed martial arts is crucial to being truly prepared for a self defense scenario… however, the fact of the matter is that most of these schools only say they are “MMA”… but in reality, they are just jiu-jitsu guys throwing sloppy strikes or kickboxers with schoolyard wrestling techniques… they are only jumping on the MMA bandwagon because it is the newest popular trend – and they are not properly trained or truly believe in the MMA style. Since I Opened Up The Miami MMA School In 2001, I’ve Taught Over Ten Thousand South Floridians. I’ve helped people change their lives by losing tons of weight, gaining confidence, gaining discipline, and most importantly… I’ve had a couple dozen students give me a chilling testimonial that the self defense skills I taught them actually saved their lives. I’ve had fathers working as cops and serving in our military share courageous stories of having to use the martial arts I taught them to disarm or take out their attackers who were coming to kill them. Although I am extremely proud of our competition record, which as of December 2011 is 194-74-1 (72% win rate) with fighters having fought on TV in shows such as Bodogfight, EliteXC, WEC, Strikeforce, Bellator, and the UFC – there is nothing I take more pride in than knowing I helped save the lives of my friends. As A Grappling Competitor, I Am One Of The Best In The World… I have won dozens of titles around the world, having competed all over the United States, Costa Rica, Brazil, England, and Spain. I have won National Titles in submission grappling and earned the privilege to compete in the ADCC Submission Wrestling World Championships. If you are not familiar, the ADCC is the Olympics of Submission Wrestling. The event is held once every two years, with only sixteen of the top grapplers from around the world being invited to compete in five weight classes. Every country has trials to send their best representatives. I got to represent USA four consecutive times under 87kgs and in ADCC Barcelona, in 2009, I finished 3rd in the World under 87kgs – tapping out 3 out of 4 of my opponents. Throughout my years competing around the world, I have defeated several black belt World Champions, such as Roberto “Cyborg” Abreu, Amaury Bitetti, Xande Ribeiro, Tarsis Humphries, Rafael Lovato Jr., amongst other incredible black belts. One of my most popular wins was over Rener Gracie in the Ultimate Submission Showdown. Rener Gracie is the son of Rorion Gracie (the creator of the UFC) and nephew of the legendary Royce Gracie. Rorion Gracie hosted the Ultimate Submission Showdown to showcase what the ultimate style of grappling would be… and I defeated Rener in a no-time limit match in the first round. I Do Not Tell You All Of This To Impress You… But To Impress Upon You that what I’m going to teach you works! If you were going to buy a car, you would want to know the actual performance of the car… what it can do! Your investment into the martial arts is much more important than any sports car – learning proper self defense can be the difference between life and death. But You Got To Be A Ferocious Animal To Start… Right? WRONG! My goal is to help EVERYONE achieve the benefits of martial arts… and it is for that reason that I have successfully taught over ten thousand people in the past ten years with my gyms in Miami. I have trained men, women, and children ranging in ages from four to sixty years old. We Are The Largest Mixed Martial Arts School In Miami, With Over A Thousand Students. We train people from all sorts of career backgrounds: grade school teachers, lawyers, doctors, college students, plumbers, carpenters, mechanics, real estate agents, stay at home moms, etc. To accommodate the largest MMA student base in Miami, we have a state of the art over 12,000 square foot facility with four full size training rooms, a full size weight room, a full size cage, a full size boxing ring, locker rooms, showers, over twenty punching bags, and much more… furthermore, we have the best schedule in south Florida, offering over a hundred classes a week with over OPEN 24 HOURS A DAY hours of operation with classes going on from 6AM until 1:45AM – with open mat and weight room going on during non-class hours. I would say 99% of our students have never trained before upon starting up. Our Mixed Martial Arts program is specifically designed taking into account that you may have the cardio of the average couch potato. We do not have to sign or buy anything to get started with our 30 Day FREE Trial! You can walk away on the 30thday – no questions asked! We are the only MMA school in Miami that offers a 60 Day Money Back Guarantee! Come to all your classes and if you decide training with us isn’t for you… we’ll give you your money back! All You NEED To Start with us is the eagerness to take up a new hobby and the desire to live a healthier lifestyle. We will motivate you… we will train you… and you will love it! Is This Too Good To Be True? A few people hesitate to take us up on our amazing free offer because they think, “This is too good to be true… there has to be a catch!” Well… there is a catch… the catch is that we have been in business for over a decade and have kept very good statistics… and since we started our 30 Day Free Trial in 2004, over 80% of the people that take us up on our free trial join as students! Furthermore… of those 80% that join up with us… more than 90% of them decide to join in the first day after their free private lesson! Our 30 Day Free Trial is just a lure to get you in the door… because we know you are going to absolutely LOVE IT here – and statistically speaking… you are going to know you want to join in the first day! And if you aren’t sure in the first day – you have thirty days to try us out without signing or buying ANYTHING! Call now and let us share with you more information about our 30 Day Free Trial! We are Open 24 Hours – so you can call right now and someone will help you. We Love Giving Away FREE Stuff! We know that if we can get you to come by and check us out, you will become a member of our team. We hope to bribe you to try us for free by offering our Free Video, “7 Ways To Choke A Man Unconscious!” Fill out the web form and you will get taken to the video IMMEDIATELY! Once on our email list, we will send you more videos and news about our gym – and you can remove yourself at any time by unsubscribing at the bottom of the emails. You have nothing to lose – check out the amazing video and learn seven new chokes right now! Please Go Ahead And Get Your FREE Video And Pick Up The Phone Right Now And Call 305-225-4610 so our staff can help you learn more about our amazing 30 Day Free Trial. Thank you and I am looking forward to training together!